Mandatory joint registration, or economic incentives for joint registration. Spouse or partner consent for land transactions. Equal rights for sons and daughters to inherit and for surviving spouse to receive an inheritance share. Budgetary commitments to strengthen equal rights for women regarding ownership and/or control of land. If customary land tenure is recognized in the legal and policy framework, women’s land rights are protected. Quotas for women's participation in land administration and management institutions. According to the UN metadata document, the precise definition of this indicator is: "The legal framework includes special measures that guarantee women's equal rights to landownership and control." The indicator monitors reforms that give women equal rights to economic resources, as well as access to ownership and control over land. 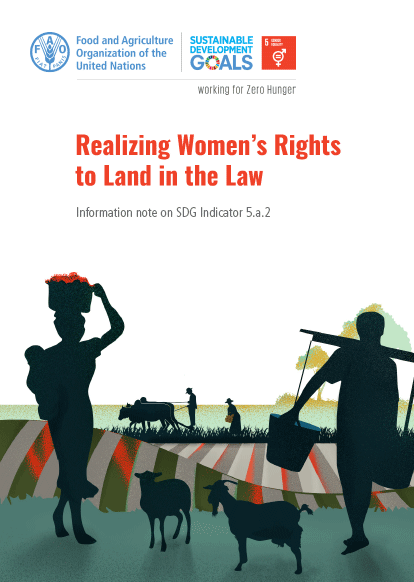 This indicator underscores legal constraints faced by women that could deny them their legal right to land as it relates to marriage, including equal inheritance rights – both as a spouse and as a daughter, lack of governmental financial support for women to enter the land market or access land, and lack of effective and meaningful participation in matters that affect them (land institutions). An assessment of the extent to which the above proxies are included in the national legal and policy framework in relation to land tenure and gender will be conducted at the country level and the results validated through national mechanism involving relevant stakeholders in government, gender, land experts and other stakeholders. The proposed methodology is being piloted in 10 countries (Albania, Serbia, Colombia, Guatemala, Oman, Indonesia, Nepal, Kenya, Uganda and Tanzania), taking into account regional representation and diverse legal regimes. UNSD has announced that the 6th Meeting of the IAEG-SDGs will take place in Manama, Bahrain from 11-14 November 2017. Custodian agencies are expected to submit their request for reclassification including key documents in support of their request by October 2, 2017. As the methodology is being piloted by the FAO as the custodian for this indicator, more information on the final methodology is expected to be ready by October 2017, as FAO prepares to apply for reclassification. 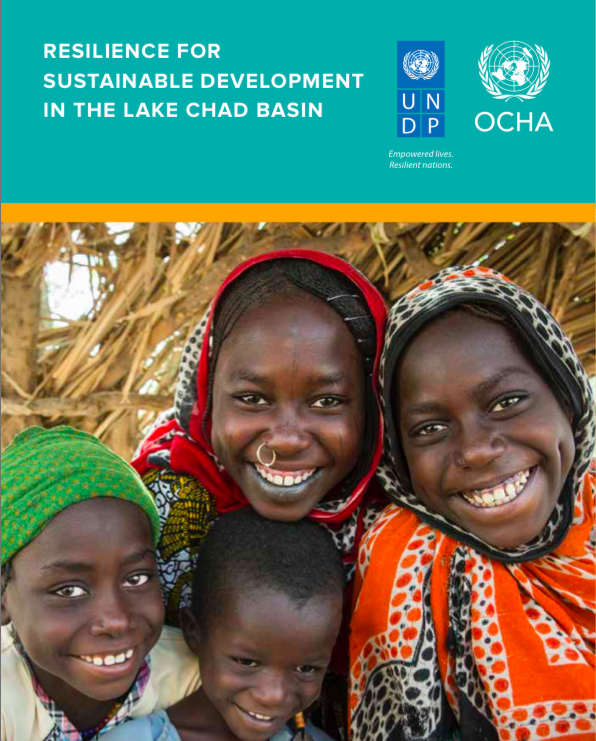 Custodian agencies for this indicator are the FAO, UN Women and World Bank. Information for indicator 5.a.2 is being managed by FAO, which is currently mapping the existence of good practices in this area, through its Legal Assessment Tool (LAT). According to UN Women, "deep legal and legislative changes are needed to ensure women's rights...Stark gender disparities remain in economic and political realms." Discriminatory laws need to be reformed if women and girls are to be empowered with secure, equal rights to land. Elimination of discrimination in law will help women and girls achieve power and potential, secure food for their families, to generate income, maintain cultural identity, and sustain other livelihood needs. This indicator was a sub-component of the Discriminatory Family Code Index in the Gender Institutions and Development Database in the 2009 edition. Global ranking by country for the SIGI - Social Institutions and Gender Index. This indicator is taken from the OECD the Gender, Institutions and Development Database (GID-DB). It is and index ranging from 0 to 1. Women's property rights are recorded (i) urban (ii) rural measured on a scale from A - which stands for good practices - to D - reflecting weak practices. Women's property rights to land are equal to men's (i) in law and (ii) in practice measured on a scale from A - which stands for good practices - to D - reflecting weak practices. After dedicating 26 years to creating a harmonious balance between nature, humans and technology, social worker Snehlata Nath, still feels that it is just the beginning. Recipient of the prestigious Jamnalal Bajaj Award for Application of Science and Technology for Rural Development in 2013, she has been extensively working in the field of eco-development, livelihood, and sustainability in rural tribal areas of the Nilgiri Biosphere Reserve. Making the invisible visible within national data systems was an important area of discussion at the United Nations World Data Forum. Invisible population groups in data are commonly the most vulnerable populations — women and girls, people with disability, refugee and migrants, and the elderly. Progress on women’s rights has been far slower than expected across the world as a report shows underage marriage rates have barely come down this decade, while dozens of nations still legally prioritise men. Forty-one countries recognise only a man to be the head of the household; 27 countries still require that women obey their husbands by law; and 24 countries require women to have the permission of their husband or a legal guardian (such as a brother or father) in order to work. 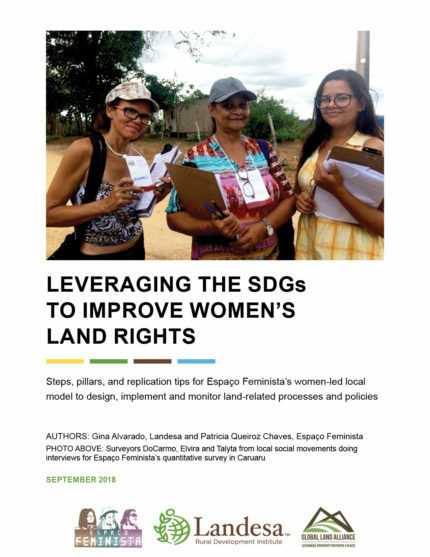 Steps, pillars, and replication tips for Espaço Feminista’s women-led local model to design, implement and monitor land-related processes and policies. Goal 5 of the Sustainable Development Goals (SDGs) "Achieve gender equality and empoer all women and girls" regonizes the fundamental role of women in achieving poverty reduction, food security and nutrition. Target 5.a aims to "undertake reforms to give women equal rights to economic resources, as well as access to ownership and control over land and other forms of property, financial services, inheritance and natural resources, in accordance with national laws". 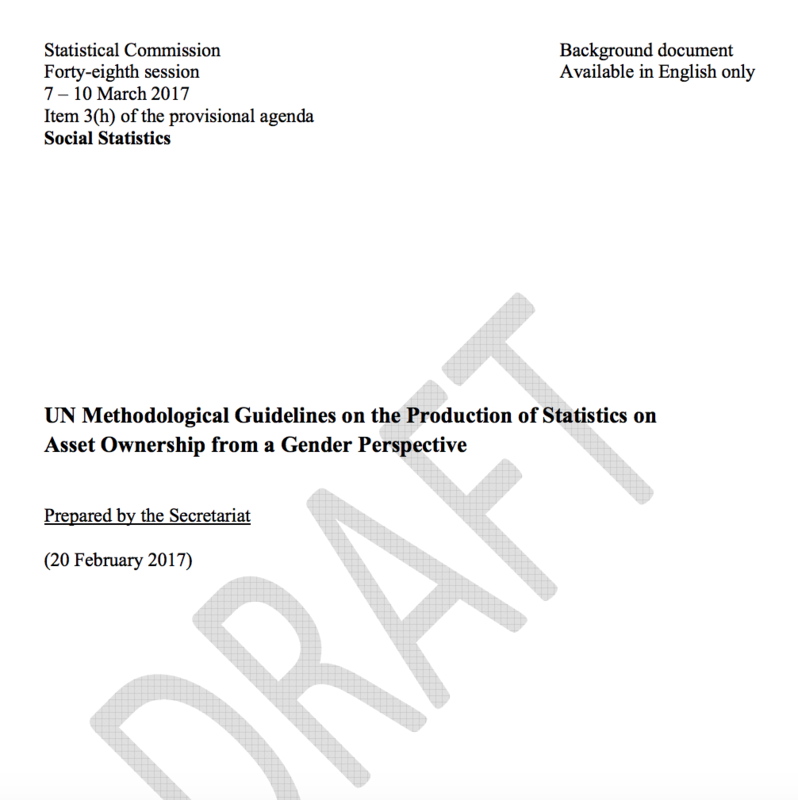 The present publication provides national statistical agencies and policy makers with guidance on collecting, processing, analysing and disseminating individual-level data on asset ownership and control for the production of gender statistics. Although agricultural surveys and administrative data sources are briefly addressed, the focus of the guidelines is on household surveys for two key reasons. 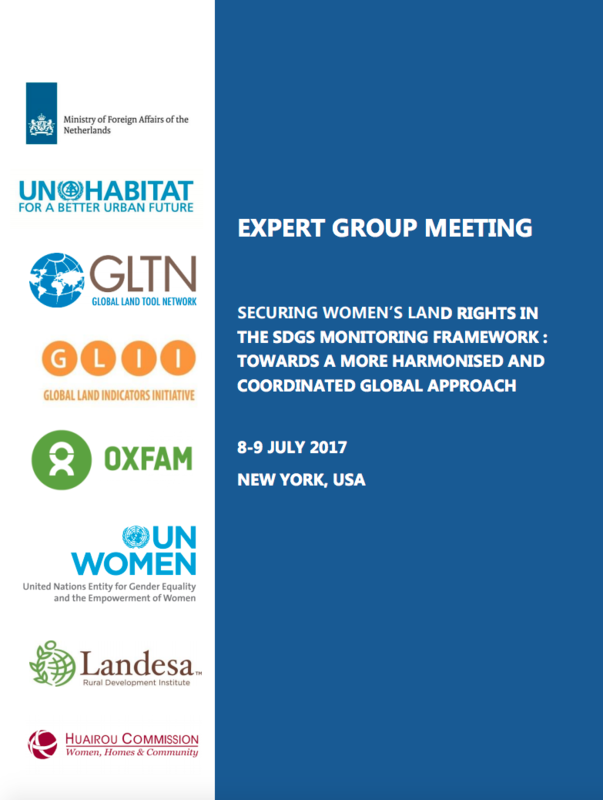 This Expert Group Meeting (EGM1 ) was convened with the purpose of examining land indicators in the Sustainable Development Goals (SDGs) and promoting meaningful and harmonised approaches to monitoring women’s land rights (WLR)2 . It was convened by the Global Land Indicators Initiative (GLII) of the GLTN, UN Habitat, and Oxfam with inputs and assistance from Landesa, UN Women and Huairou Commission as part of a process of work on the development of methodologies for the land related SDG indicator monitoring.